This thread was inspired by CEF member "Mauricio"; who noticed CEF member "Kim Stricker's" current avatar-photo.. and asked for information about its content.. 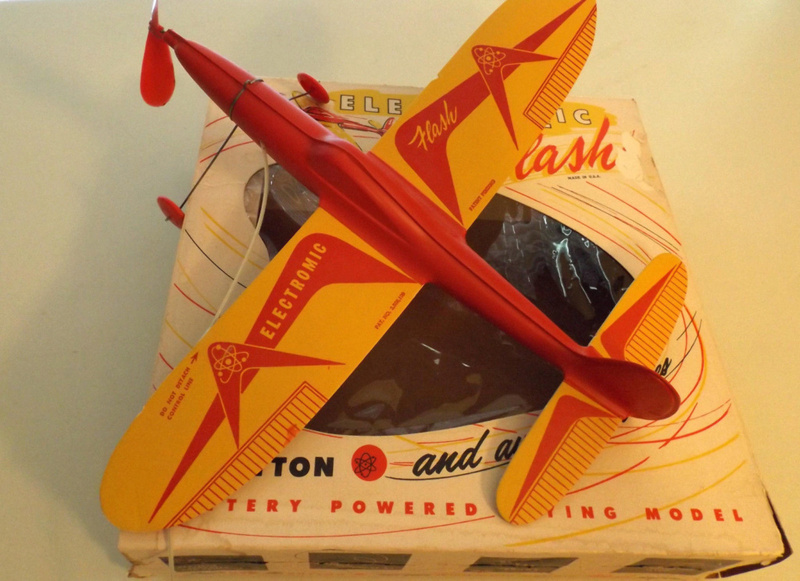 I believe that the model airplane depicted in the above photo is a vintage Stanzel product. Below is a weblink to a google images search for stanzel model airplane. Much interesting information can be found by browsing there. I had one of Stanzel C/L airplane in seventies. It works with two D cell batteries in handle. But motor was insufficient to fly well, so I whip the plane with power cord. 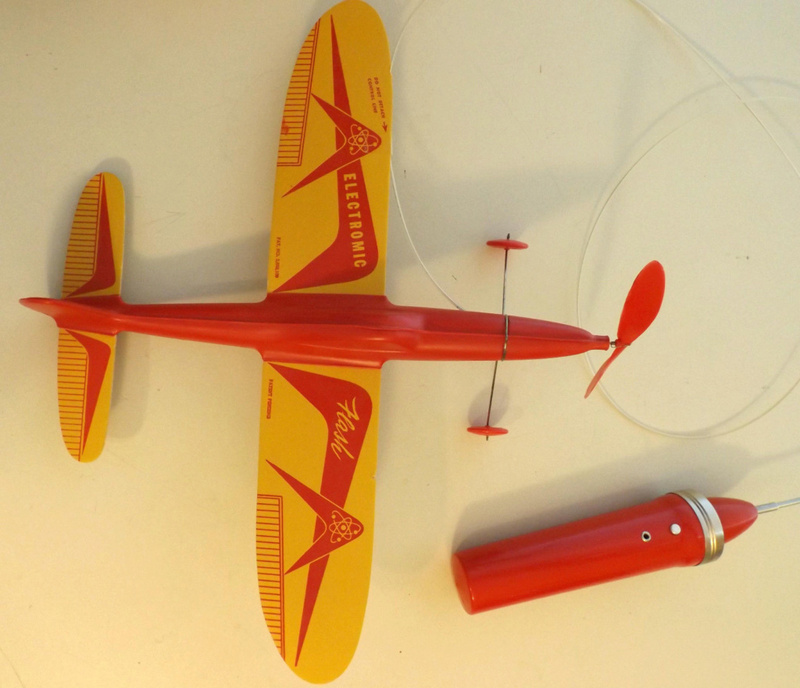 Stanzel up into the late 1980's still marketed that battery operated whip model airplane. I bought my son one in the late 1980's, may have been Toys-R-Us where I bought it. Do have a humorous story that goes with it. My son was around 5 years old at the time. He was flying it in the backyard, when our cat, part Persian took an interest. He jumped up at the plane, caught the line with his paws. The airplane immediately circled the cat and wrapped itself with the line until the plane was next to his body. 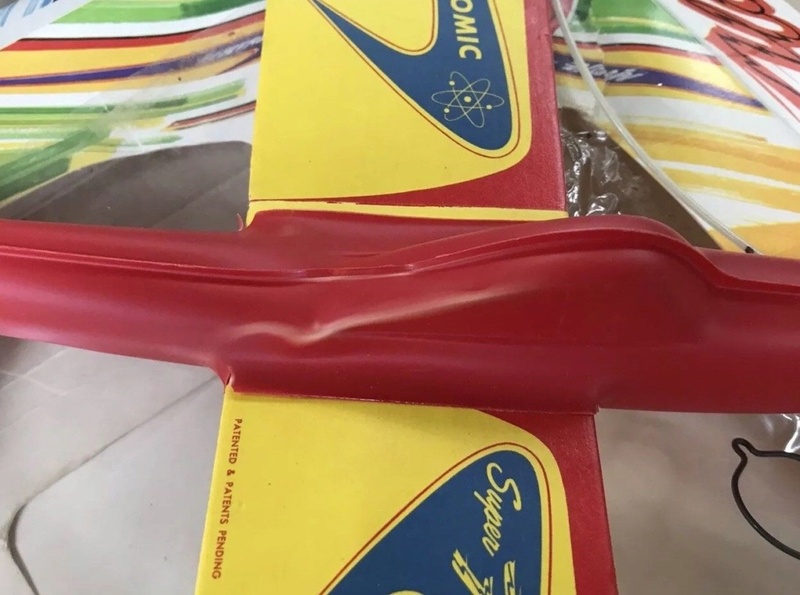 with the propeller still turning and the electric motor humming, the cat then spooked took off running with the airplane attached to it, ripping the flashlight like battery box handle out of my son's hands, jumped over our backyard fence into the neighbor's yard. Cat came back a half hour later without the airplane. Thus ended our experience with Stanzel's flying toy airplane. 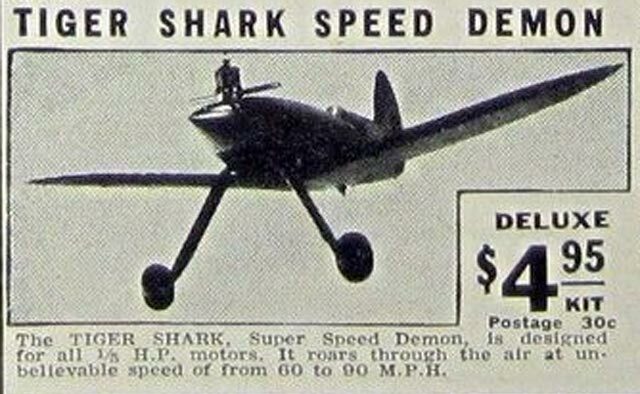 They also had a rubber powered racer version prior to that called the Shark P-60 and another .60 ignition CL speed version called 24" Super G Shark. The Super G Shark would probably be a good one for an A.C. Gilbert .11 Thunderhead. alot. Times change. Thanks for the post bro. Hey Roddie Thanks for doing this! ... I would like pictures of that model if they were possible. Maybe I could draw them on my board and make a similar model day for .020 !!! YEA! BTW, thanks Roddie for posting the info and where you got it from. I didn't realize the article was in the AMA January 2018 Model Aviation magazine. Victor and Joe foresaw a changing market. Less attention would be given to modelers who built their own kits, a practice that was prevalent in the 1940s and 1950s. 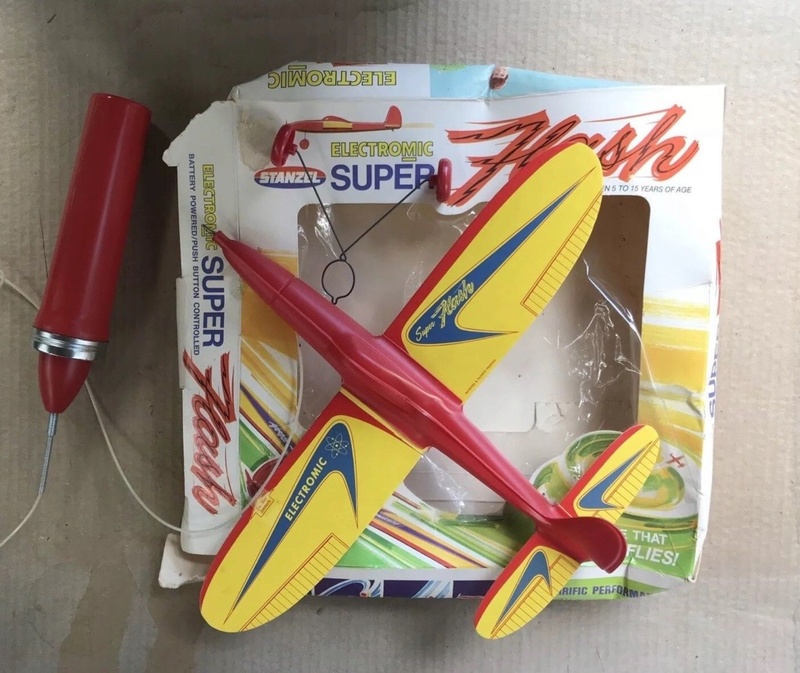 The time was right to build and assemble airplanes in the factory, place them in an attractive box, and market the product as a ready-to-fly toy. They began to design RTF models, incorporating an electric motor and dry-cell batteries as the power source. The focus was on developing toys for children ages 6 and older. 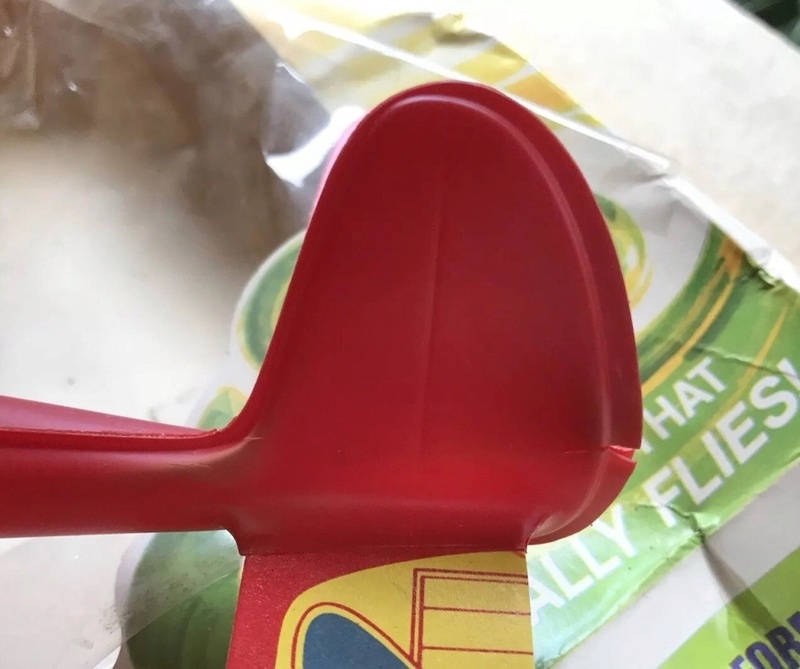 They designed and produced a new series of toy airplanes. 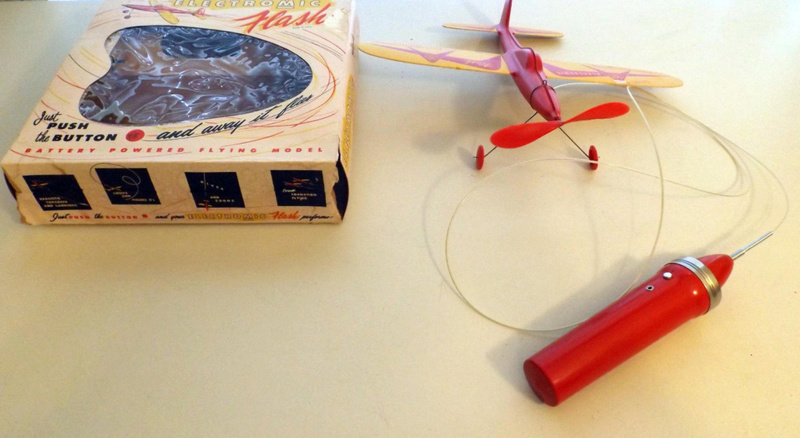 The airplanes were attached at the end of a cable, which transferred battery power to the model. The airplane was approximately 7 feet from the flier, and flew in a circle overhead. 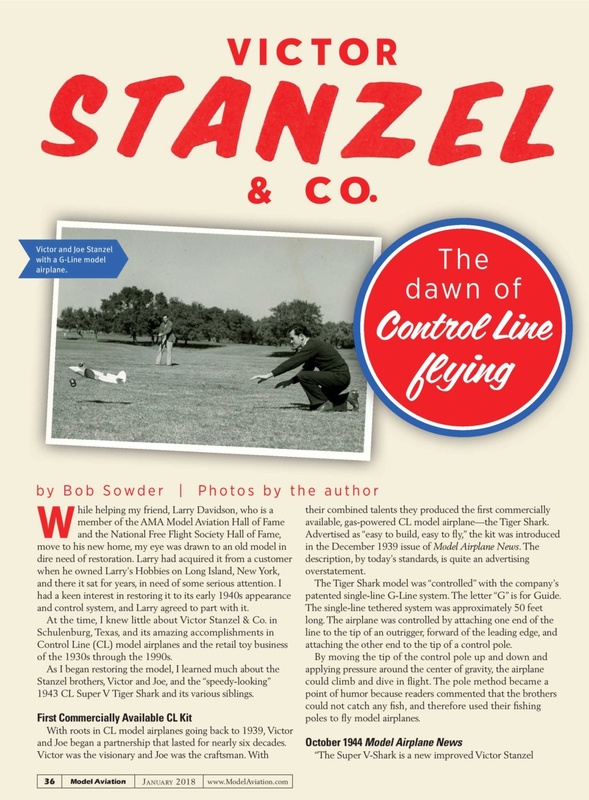 The Stanzel brothers fueled their toy business for the next 40 years with 33 aeronautic designs that possessed the capability to fly fast. 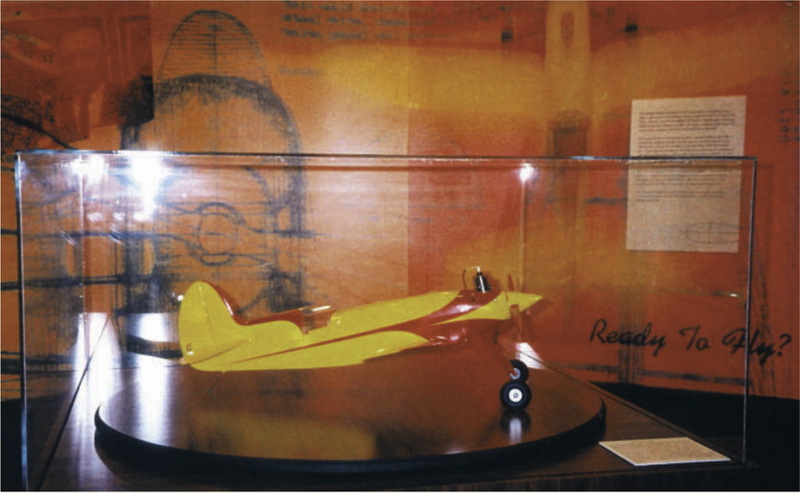 The primary objective was to produce a well-constructed RTF airplane that was safe for children, had a low noise level, and contained features that made it lift and fly like a full-scale aircraft. Joe passed away in Houston in 1990. Victor followed several years later at his residence in Schulenburg. By 2001, the company had discontinued producing RTF models. Victor Stanzel & Co. was completely unknown to me until an antique airplane caught my eye and I learned of its deep roots in the early years of CL model airplanes. 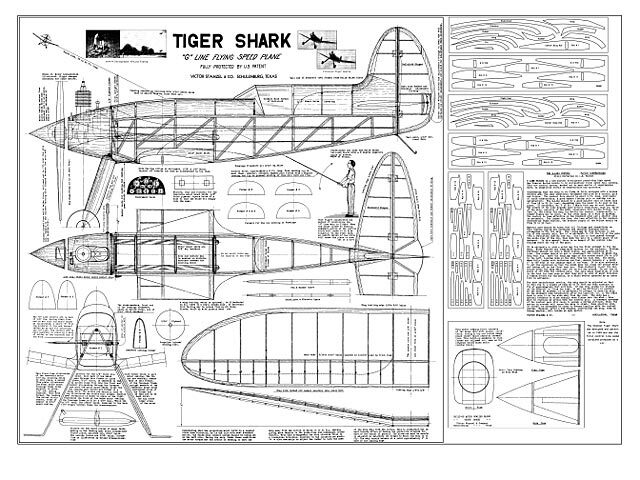 Sterling Models, Veco Products, Carl Goldberg, Jetco Models, Scientific Model Airplane Company, and Midwest Products Co. were among the manufacturers that many of us grew up with and whose kits we built, thanks in part to the forward-thinking vision of Victor and Joe Stanzel and their 1939 Tiger Shark CL kit. MauricioB wrote: Hey Roddie Thanks for doing this! ... I would like pictures of that model if they were possible. Maybe I could draw them on my board and make a similar model day for .020 !!! YEA! If you do a search on E-Bay of "Stanzel airplane" will bring up the model. Originally it was called the Electromic Flash. Last versions were called the Electromic Super Flash with a revised color scheme. I think one could take the top view, rescale it and sketch out a close approximation of the rest, from that model it. I live just a few hours from the Stanzel Model Airplane Museum in Schulenberg, TX. Not sure why it took me so long to get around to visiting it but I finally stopped by while on a motorcycle ride a few years ago and enjoyed it. That Tiger Shark on display is a beautiful model and flawlessly built. Their contributions to the model airplane and toy hobby were notable. 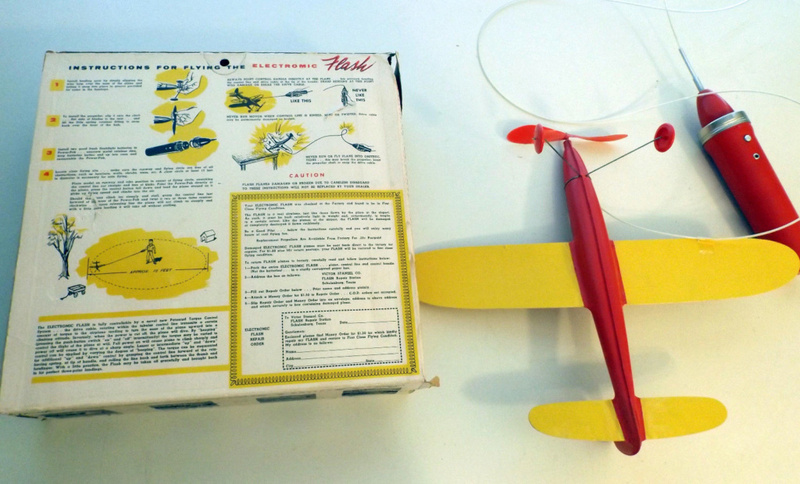 BTW, I also had one of those tethered electric planes as a kid, a Christmas present. I remember my dad getting on me for attempting to fly it in my bedroom.